We’ll listen to you to determine your needs. 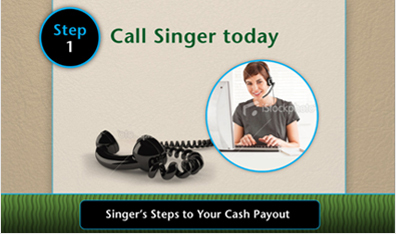 There’s no pressure, no obligation, and no charge. Whether you choose to convert all or just a portion of your payments to a lump sum, we’ll provide a simple, clear, all-inclusive offer. There are never any additional fees. 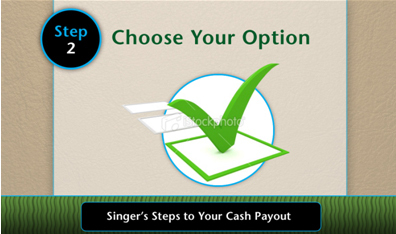 Singer will guide you through completing the necessary paperwork and take care of . 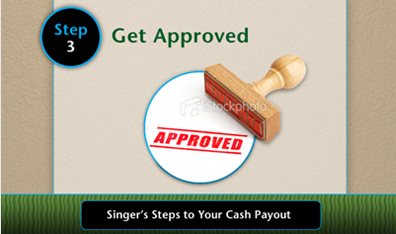 The process is safe since payment conversions are regulated and typically must be approved by a judge. 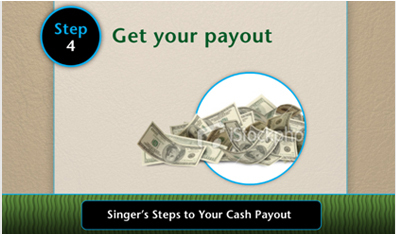 Upon court approval, Singer will pay you within 3 days after the Insurance Company processes the transfer. Then enjoy your new financial freedom. This entry was posted in Landing Page. Bookmark the permalink.